Latin America has certainly had more than its fair share of socio-economic peaks and valleys. Despite the challenges of the past (and those that persist), it’s a region that is showing the early signs of significant economic recovery—welcomed news by many, and offering new investment opportunities for organizations looking to expand into the region. According to most estimates, Latin American growth will accelerate to 2.6% in 2019. Multilatinas (companies that enter into one Latin American market in a way that is easily replicated across other countries in the region) are also providing a boost to LATAM economies. Together, they registered an average revenue growth of 5.2% – or roughly three times higher than the average of all large Latin American companies during the same time. But out of all the opportunities that currently exist in Latin America, there are three countries, in particular, that should be on your shortlist prior to expanding—especially if you’re doing so with the help of an International PEO (Professional Employer Organization). Chile is also home to attractively low tax rates; its corporate tax rate is 20%, as opposed to the United States’ top rate of 35%. One of the most important reasons why Chile should be on your shortlist when expanding with an International PEO ultimately comes down to its economy. Chile’s economy reached an impressive six-year high in 2018, though it did drop a bit in the third quarter. Despite this dip, however, the country’s economy remains both strong, making it a very attractive proposition for FDI. Another reason why to consider Chile for your global expansion comes down to Decree Law 600. Decree Law 600 of 1974 established a foreign investment regime that offered access to the official foreign exchange market for international businesses. 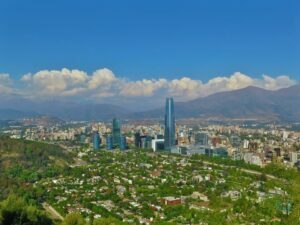 It was replaced by Tax Reform Law 20780, which created new agencies to promote foreign investment in Chile. Benefits include an invariable income tax rate for 10 years, invariable taxation for 15 years for investments allocated to mining projects, and among other provisions. Chile is also home to attractively low tax rates; its corporate tax rate is 20%, as opposed to the United States’ top rate of 35%. The country is likewise a part of many progressive trade deals, with the CPTPP or “Comprehensive and Progressive Agreement for Trans-Pacific Partnership” being the most notable example. That agreement will reduce tariffs in countries that, when combined, make up more than 13% of the global economy. Finally, the Global Information Technology Report indicated that Chile as a whole offers exceptional tech connectedness—perfect for global organizations that depend on geographic flexibility to operate on their own terms. While it’s certainly true that Colombia still faces challenges with government corruption, it is not without a number of attractive FDI opportunities. For starters, government tax reforms aimed at overhauling tax administration, withholding taxes, VAT, and other indirect taxes have been designed to attract the attention of and support globally expanding businesses. Colombia also happens to be the 19th largest oil exporter in the world, having recently set its Ecopetrol 2019 investment at a massive US$3.5 to $4 billion. Its largest trading partner also happens to be the United States, through Panama and China are close behind. Colombia shipped US$11 billion worth of goods to the U.S. in 2017, accounting for 29.1% of all Colombian exports. Positive cashflow streams also indicate that Colombia has competitive advantages with countries like Panama, the Netherlands, Turkey, the Bahamas, and more. All told, there are approximately 250 United States companies that operate in almost every sector in the Colombian economy. Finally, there’s Peru, something of a modern marvel when it comes to bringing its citizens out of poverty; the poverty rate has been on a steady decline for years, despite the fact that it saw a modest bump in 2016—the first in nearly two decades. Prior to that point, Peru had been able to slash its poverty rate by about four percentage points between 2006 and 2012, thanks largely to surging prices for their key mineral exports. In the first six-month period in 2018 alone, Peru’s private investment expanded 5%, mostly attributed to a sharp recovery in the country’s economy. This sharp, new growth cycle has led experts to believe that Peru will continue to make an international name for itself as one of the mining capitals of the world moving forward. But perhaps it’s Peru’s sustainable tourism sector that makes it an attractive proposition for a wide range of businesses. Over $720 million in profit was generated by sustainable tourism in Peru’s protected natural areas in 2017, creating more than 36,000 jobs. This sector may be a bit off-centered for some businesses, but this expanding space shows no sign of slowing down, attracting attention from organizations across a range of industries. As Latin American economies continue to improve, businesses continue to grow, and progressive government policies are implemented, organizations from across the globe will undoubtedly explore their opportunities across the continent. If your organization is eyeing LATAM or one of its many countries, but you aren’t sure of the best method of breaking into its market, reach out to Biz Latin Hub today. With capabilities in each country across the region, we can help you determine the best method of establishing your presence in Latin America. Ready to make moves? Let’s talk.